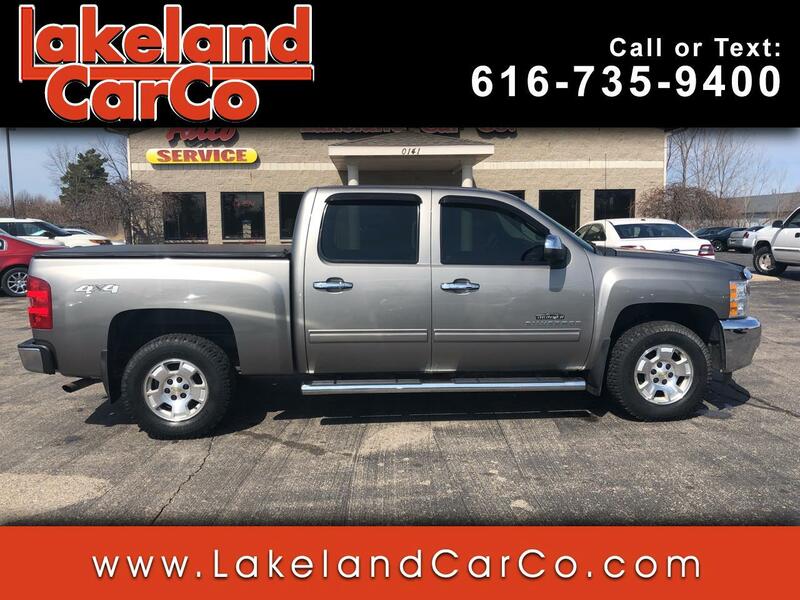 Used 2013 Chevrolet Silverado 1500 LT Crew Cab 4WD for Sale in Grand Rapids MI 49534 Lakeland Car Co.
Our 2013 Chevrolet Silverado 1500 LT Crew Cab 4X4 is shown in a rugged Graystone Metallic. Powered by our proven Vortec 5.3 Liter V8 that offers 315hp while connected to a smooth shifting 6 Speed Automatic transmission to help with amazing towing capacities. This Four Wheel Drive LT scores near 21mpg on the highway and owners love the coil over shock front independent suspension and it provides a nimble work machine. This Chevrolet will certainly exceed your towing or hauling requirements and certainly remind you that solid-like-a-rock really does exist.